Welcome to Daytona Beach Boardwalk! 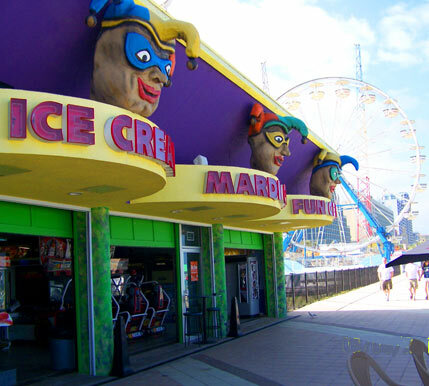 The Daytona Beach Boardwalk is a combination of many family operated businesses - Joyland Amusement Center, Mardi Gras Fun Center, Pizza King, Lisa's Gift Shop, Michael's on the Beach, Zeno's Boardwalk Sweet Shop, and Phillip's Gift Shop - all located right on the beach! 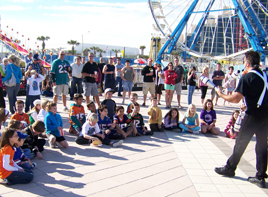 The Boardwalk, along with our nightly street performer shows are open year round and we are as popular than ever. 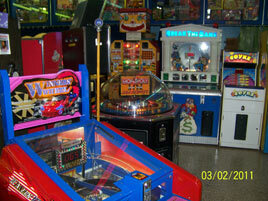 Click on the photo page to see the many rides, games and attractions that make it the perfect spot to spend a day! Relax on our white sand beach only steps away, a then come on in for a great time of fun and food! The Hilton Daytona Beach and Wyndam are right next to us. Hope to see you there. 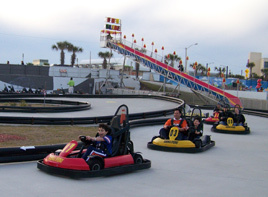 So much to see and do to make your stay in Daytona Beach a vacation or day stop to remember, for you and your family!